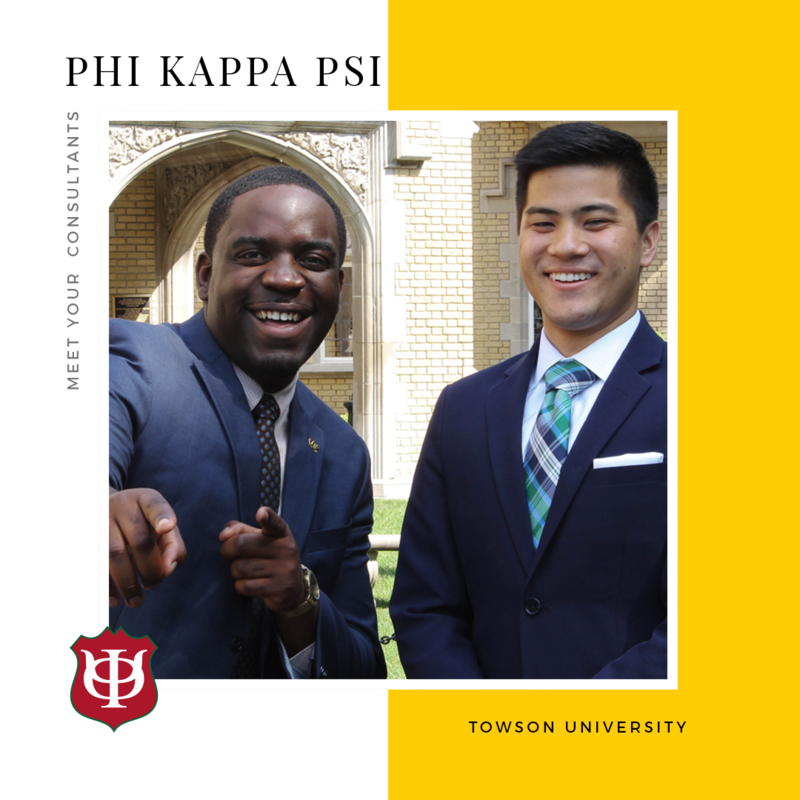 Orcel Kounga and Kevin Gong, are the consultants responsible for starting the Phi Kappa Psi colony at Towson University. Orcel Kounga as the lead expansion consultant will be the main contact for all recruitment, education, and operations of the new local organization. Orcel is a 2017 graduate of Drexel University in Philadelphia, Pennsylvania. Kevin Gong is a senior chapter services consultant and will be supporting Orcel in establishing the organization. Kevin will work with the members on continued education and chapter operations and will work with them as a resource for their continued success. Kevin is a 2016 graduate of California Polytechnic State University.